This indispensable book offers a road map to guide evaluation practice in these innovative learning environments. 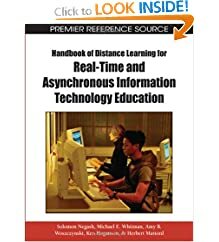 This book is an essential guide to the use of technology in flexible and distance learning. The author argues that technology is not inherently good or bad for teaching - it's the way it is used that matters. 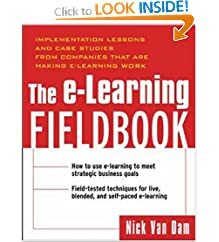 The E-Learning Fieldbook teaches the expensive lessons learned by leading companies as they have implemented E-learning. 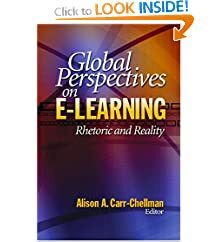 Offers a balanced perspective on the problems and possibilities of distance education worldwide. The authors discuss their extensive research from technological, pedagogical and organizational perspectives in order to create practical models and release the full potential of e-learning. This Premier Reference Source answers the increasing demand for a fundamental, decisive source on this cutting-edge issue facing all institutions.